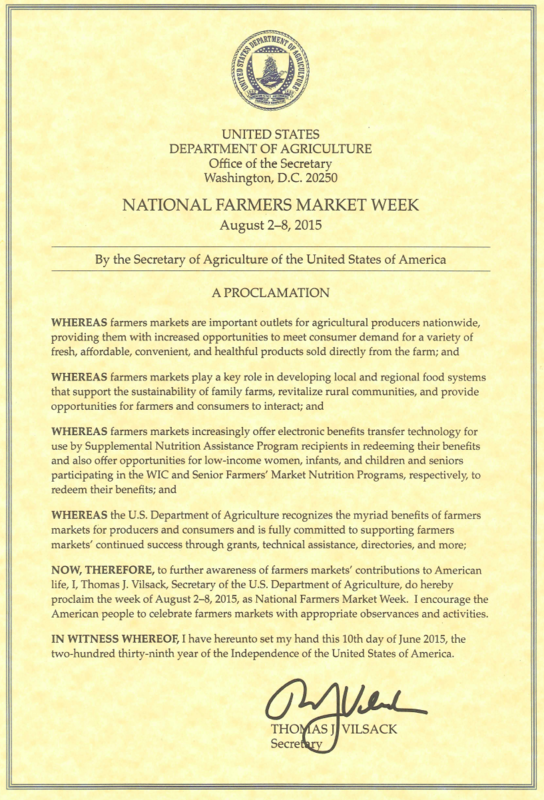 Secretary of the USDA, Tom Vilsack has officially designated August 2nd-8th National Farmers Market Week! Download and view the proclamation below. How will your market celebrate this year? Whatever you do, use FMC’s tools and templates to help promote your event! Click here for invitation and press release templates, farmers market talking points, social media graphics, and information on FMC’s #MoretoMarket contest!